“Motherhood has brought on a whole new level of understanding to me, an understanding of what grace means from the perspective of a parent. 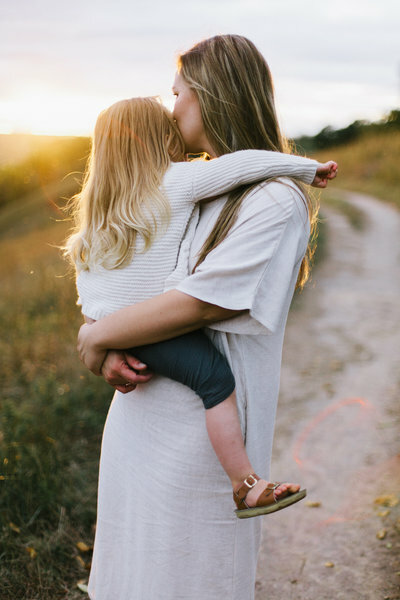 Motherhood is rewarding in so many ways, but challenging in many too. Let’s face it, we’re responsible for raising tiny humans to grow up to be respectable, kind adults. This journey to raise respectable, kind adults creates some of the most precious moments in life. I have to remind myself all too often that it is what you make it, so make the most of it. “This session was very dear to my heart, as I was photographing my niece, Jewel! As with every session, I have a strong desire to create images that are loved by my clients – but I felt extra pressure in this situation, because my client was my sister! I knew that I wanted to create images that appealed to her personal taste, and knowing her so well helped in the planning process.